As a concerned parent of a nursery school student at Westside Jewish Community Center, she asked what she thought was a simple question: “Why didn’t the school serve healthy snacks to the children?” The answer led to a lifetime dedicated to helping better everyone’s surroundings. Since that fateful day of curiosity, Vicki has served the greater good with diligence, intelligence and distinction. 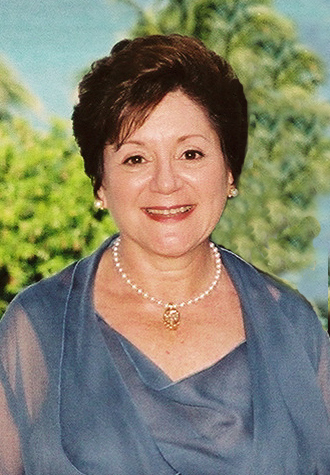 Among her many efforts, she co-chaired Westside JCC’s first Monte Carlo night, become Parent Council co-chair, been elected to Westside JCC’s Board (where she has served on numerous committees), and chaired the Health and Physical Education Committee – all prior to becoming President of Westside JCC from 1987 to 1989. Vicki is the rudder that steers the Executive Board of the Southern California Jewish Sports Hall of Fame, and integral to all aspects of the Hall of Fame induction ceremony and dinner. She has been Dinner Chair for 11 of the past 12 events. Vicki has also been instrumental in many of Westside JCC’s celebrations. She has served on the (former) Jewish Community Centers Association of Greater Los Angeles Board of Trustees – where she chaired the SOVA Kosher Food Pantry committee, and she continues to sit on the Westside Jewish Community Center Advisory Board and the Westside Center Housing for the Elderly Board of Directors. Vicki has been married to her husband, Ron, for 36 years and is the proud mother of two wonderful sons. Three decades after starting down the volunteerism path, Vicki is being recognized for her unselfishness with the highest honor bestowed by the Southern California Jewish Sports Hall of Fame: its Pillar of Achievement Award. It is, to say the least, well deserved.